When is Apple's 2018 iPhone launch event? It’s unclear what the third device will be called. Reports suggest the smallest device (maybe this will be the 9?) will feature a 6.1-inch LCD screen and will be the cheapest of the new offerings. The XS will apparently look much like last year’s X, and the bizarrely named XS Max will feature a 6.5-inch screen. All three are expected to feature a notch at the top of the device, like on the X. There have been reports that the new phones will come in some new colors, that they’ll have new USB-C chargers, and that the phones won’t feature the 3D Touch technology Apple first introduced on the iPhone 6s as it hasn’t proven particularly popular. There are also conflicting reports about whether Apple will be updating its most affordable phone, the tiny iPhone SE, or whether the new notched 6.1-inch phone will be its cheapest option. Additional information about the cheaper iPhone leaked out over the weekend. Apple’s 6.1-inch phone may be called the “XC,” start at around $700, and come in grey, white, gold, and red. 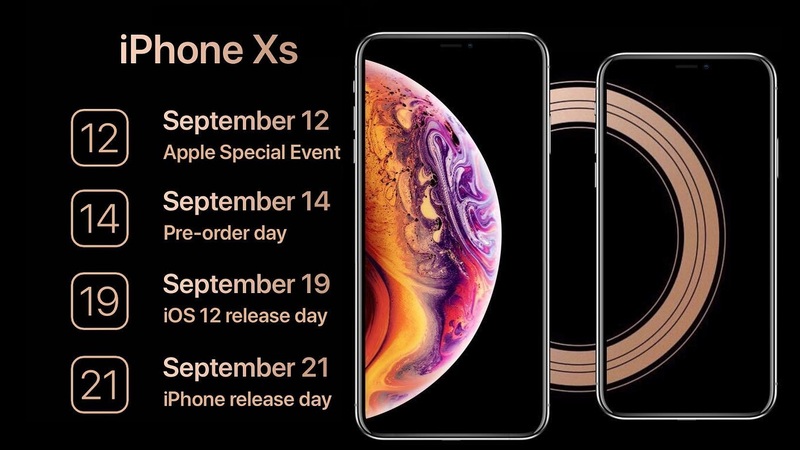 It also appears that the new phones will be the first iPhones to support two SIM cards, a boon for international travelers and those who have more than one cellular data plan. Apple, which had an iPad-focused event in March for its lower-end tablets, didn’t introduce a new iPad Pro model this summer, as it did last year. Recent leaks suggest that a new, more angular iPad Pro, with a large screen and no home button, could be around the corner. It apparently will feature the same FaceID unlock feature and lack a fingerprint scanner, much like the iPhone X.